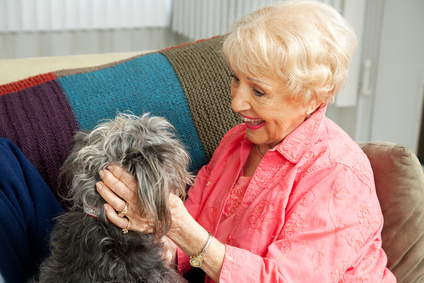 We know from experience that our elderly clients feel most comfortable and content at home. For an aging person, the ability to maintain independence and stay in the comfort of their own home makes a positive difference in their overall health and happiness. At Umbrella Home Health Care our goal is to help our aging Clients continue to live independently at home, through our personalized services. Our services start with a free, in home, comprehensive assessment. From our Assessment we will develop a personalized Care Plan that is designed to meet the needs of the whole person. Our Care Plan is Client centered and focuses on accomplishing daily and long term goals to increase quality of life. Companionship: Our caregivers provide friendly conversation, a listening ear, and assistance and/or participation in hobbies and fun activities. Dementia and Alzheimer's Care: All of our Caregivers are certified in Dementia and Alzheimer's care and can compassionately and competently manage any situation associated with Dementia and Alzheimer's. 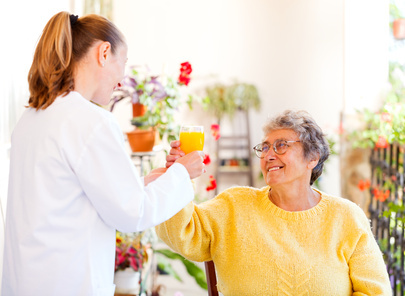 In Facility Services: When your loved one has already moved to a Memory Care or Assisted Living community, we can provide the additional assistance and companionship that they need to feel more comfortable and content in their new home. Transportation: Our caregivers are insured and provide safe transportation to appointments, errands, shopping, outings, and fun activities! Homemaker Services: We can help to keep the house tidy and clean, keep up on laundry, prepare meals and snacks, go shopping, and handle special requests. Personal Care and Hygiene Assistance: Our caregivers provide dignified incontinence care and perineal care, showers, bathing, sponge baths, hair care, shaving and skin care, and oral care. Assistance with all Activities of Daily Living including: toileting, dressing, grooming, pampering (manicures, hair setting and styling), ambulation assistance, transferring, eating, drinking, and special requests. Medication Reminders: Our caregivers can ensure that your loved one is reminded to take medication at designated times. Respite Care: When family Caregivers are in need of a break, even for just a half an hour a day, we are here for you! Pet Care: We can make sure all members of the family are taken care of by assisting with the care of your pets! Colorado Springs, Monument, Black Forest, Security, Widefield, Fountain, Manitou Springs and surrounding areas. Website Design & Hosting by Guardian Solutions LLC.